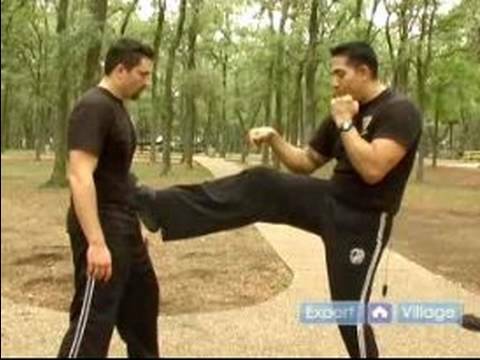 Info about "Krav maga video"
Krav Maga (lit. “contact combat”) is an eclectic hand-to-hand combat system developed in Israel that involves striking techniques, wrestling and grappling, mostly known for its extremely efficient and brutal counter-attacks, and is taught to regular and special forces in Israel. It was derived from street-fighting skills developed by Imi Lichtenfeld, who made use of his training as a boxer and wrestler, as a means of defending the Jewish quarter against fascist groups in Bratislava in the mid- to late-1930s. In the late-1940s, following his immigration to Israel, he began to provide hand-to-hand combat training to what was to become the IDF, who went on to develop the system that became known as Krav Maga. It has since been refined for civilian, police and military applications. Generally, there are no rules in Krav Maga, as it is a defense fighting technique which is not regulated, but utilized to keep the user safe and incapacitate the opponent by any means necessary. Men and women generally undergo the same drills.It has no sporting federation, and there are no official uniforms or attire, although some organizations do recognize progress through training with rank badges, different levels, and belts. Targeting attacks to the body’s most vulnerable points such as the eyes, jaw, throat, groin, knee etc. Neutralizing the opponent as quickly as possible by responding with an unbroken stream of counter attacks and if necessary a take down/joint break. Basic training is a mixed aerobic and anaerobic workout. Protective pads and other personal protection equipment may be used during initial training. Scenarios are used to train personnel for situations typically encountered in street patrol or combat situations. Training scenarios teach students to ignore distractions. Other training methods to increase realism might include blindfolding or exercising trainees to near exhaustion before dealing with a simulated attack, as well as training outdoors on a variety of surfaces and restrictive situations.